Star Wars Launch Bay – This interactive experience will take guests into the upcoming film, Star Wars: The Force Awakens, with special exhibits and peeks behind-the-scenes, special merchandise, and opportunities to visit with favorite Star Wars characters. Star Wars Launch Bay will be located in the Animation Courtyard at Disney’s Hollywood Studios and in Tomorrowland at Disneyland park. 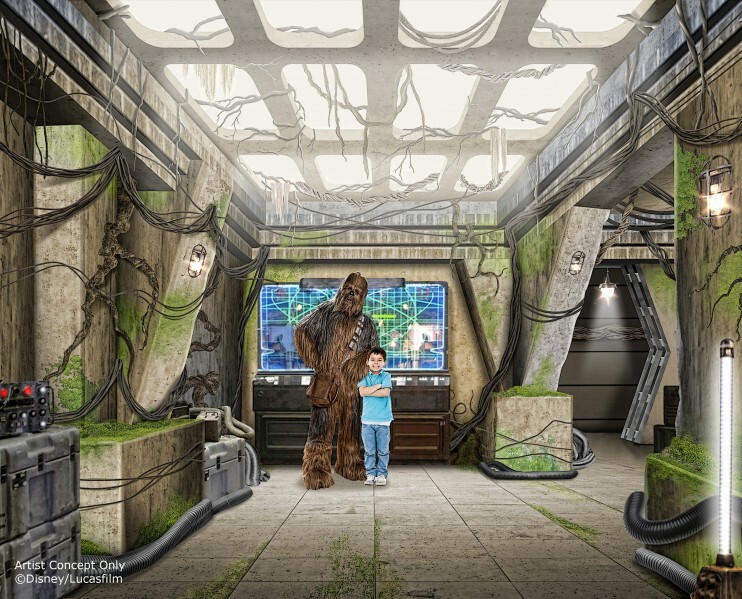 Also at Disneyland park, Star Wars Launch Bay will share the space with the reimagined Super Hero HQ, featuring opportunities to meet and take photos with super heroes like Captain America and Thor, as well as experience the returning Iron Man Tech Presented by Stark Industries. Both experiences will be available for guests later this year. “Rivers of Light” – Expected to open next spring, “Rivers of Light” will be an innovative experience unlike anything ever seen in a Disney park, combining live performances, floating lanterns, water screens and swirling animal imagery. “Rivers of Light” will magically come to life on the natural stage of Discovery River, delighting guests and truly capping off a full day of adventures at Disney’s Animal Kingdom.